The large and comfortably-appointed family room contains one double bed and a single bed with pull-out, sleeping up to four in total. 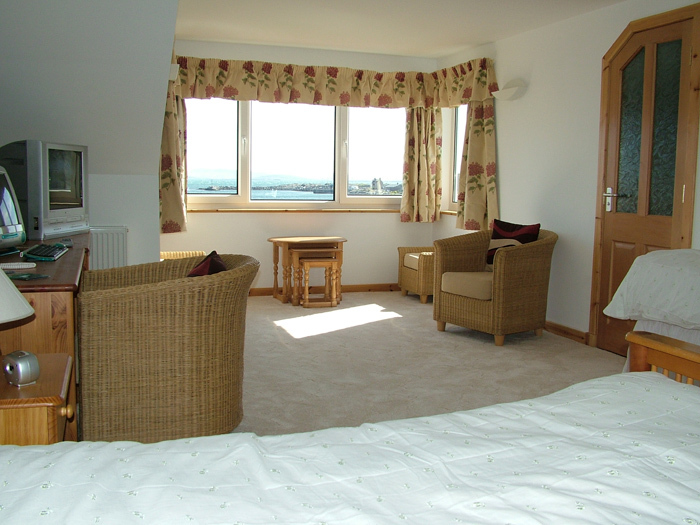 Aside from affording impressive views across Bays Loch, this room benefits from all the necessary facilities and more, to make your stay an enjoyable and comfortable one. These include satellite TV, telescope and proper tea and coffee-making facilities, as well as a fridge for guests' use. The tiled ensuite bathroom includes both a shower and a bath. 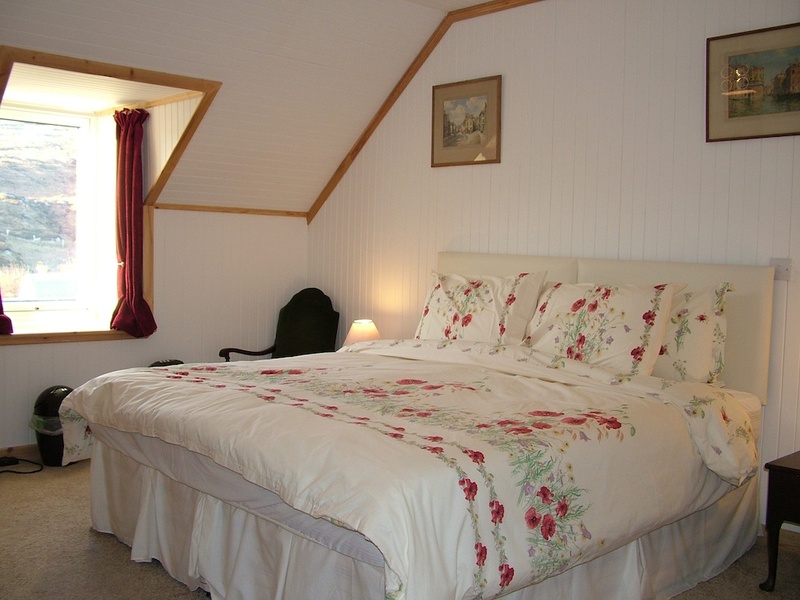 This room can be set up as either a twin or a double room with a large superking bed. Located in the old part of the house, this bedroom has an intimate cosy feel, while also benefiting from a high standard of facilities. These include satellite TV and proper tea and coffee-making facilities, as well as a fridge for guests' use. The spacious ensuite bathroom features an extra-large shower cubicle. There is free wireless internet access available from anywhere in the guest accommodation. Whether you have to do a bit of work, or if you just need to book your next ferry, we make it possible for your digital life to continue while you’re here.